Regional climates are the most important factors in auto maintenance. When auto manufacturers issue technical bulletins and auto maintenance recommendations, they always have climate conditions in mind. If you drive your vehicle in Apple Valley, Victorville, and the High Desert area, you are exposing your car to local weather and environmental conditions that are radically opposite to those of Detroit or Miami, for example. By virtue of living in Apple Valley and Victorville, car owners should follow maintenance schedules recommended by auto manufacturers for desert climates. If you lived in Detroit, you would need windshield defrosters and chains on your tires when winter conditions turn extreme. In the High Desert, drivers will have other concerns. Tire pressure and maintenance are very important in desert climates due to the major shifts in temperature. When cars are brought in to Road Runner Auto Care, our technicians knew that they must visually inspect the tires and the sidewalls; a small crack can become a more serious problem as the heat rises. The same goes for wiper blades and other items that are made of rubber. As expected, overheating can be a major concern during the High Desert summer months. Coolant leaks can be dangerous for drivers who choose to drive from California to Arizona, and once again rubber parts cracking apart due to heat conditions could place drivers at risk. Coolant lines and gaskets need to be checked for leaks or for deterioration that may result in future leaks. When it comes to a diluting coolant, the ratio will be different in Apple Valley in comparison to northern Montana; a very high coolant concentration is not recommended. With regard to engine oil, the climate is just one factor to consider. Driving style, environmental conditions, and mileage will dictate the type of oil that should be used along with its viscosity. 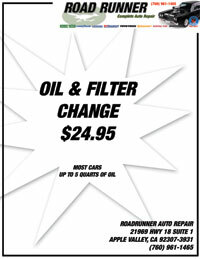 The High Desert climate is a very strong reason why you should bring your car to Road Runner Auto Care. 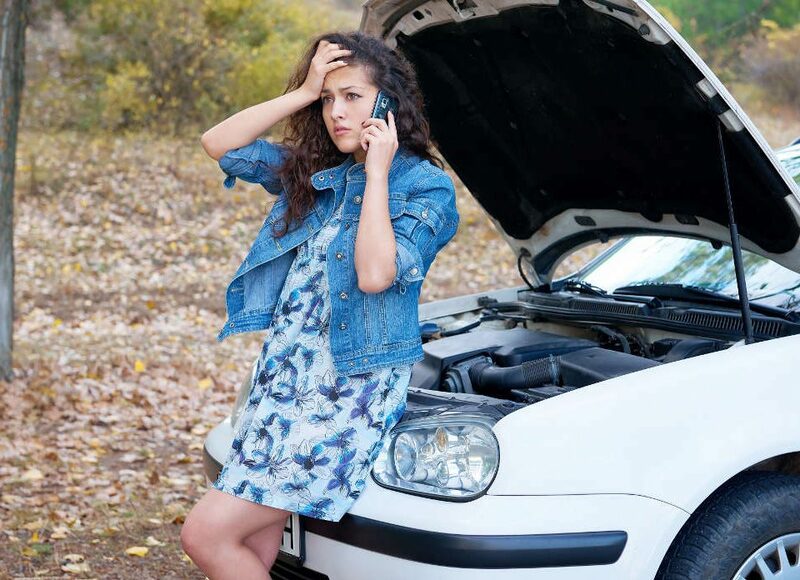 Our experienced auto technicians are very knowledgeable about how local conditions can affect your car, and they know what type of maintenance is required to protect it.